Many congratulations to Danielle and Tim who were married at Alpheton Hall Barns, Sudbury on Saturday 5th September. This was a first for me as the barn was a “Dry Hire” barn, so basically Danielle and Tim sourced everything and what a fab job they did of it – it looked amazing! 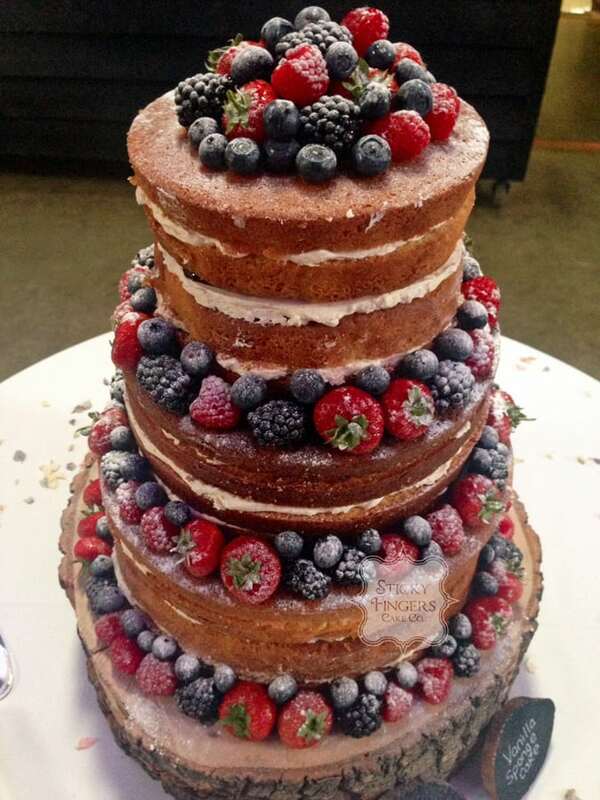 They chose to have a 3 tier naked wedding cake and the flavours were Lovely Lemony Lemon Cake, White Chocolate and Passion Fruit and Madagascan Vanilla, decorated with fresh seasonal berries and a dusting of icing sugar.